Today, there is near universal consensus on evidence-based medicine (EBM) as the preferred approach to medical practice. In palliative care, however, a strong evidence base is lacking in many respects, which could result in less than optimal care being provided to patients. Establishing a solid evidence base requires much research to be conducted in palliative care. Such research in palliative care faces both empirical and ethical challenges. In this chapter, we focus on several ethical issues and challenges that are relevant to palliative care research. Many legal and ethical frameworks exist for dealing with research on ethical issues, but this chapter examines how these general frameworks apply more specifically to the domain of palliative care research. We will discuss the key issue of vulnerability in palliative care research. Other issues that will be touched upon are: (1) respect for research participants; (2) the need for independent review; (3) the requirement of social and/or scientific value; (4) issues related to informed consent; (5) challenges regarding scientific validity; (6) favorable risk-benefit ratio; and (7) fair participant selection. In touching upon these issues, most ethical challenges for palliative care research are examined. 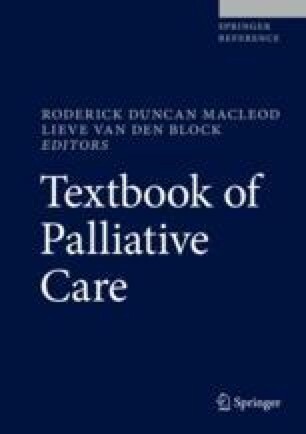 The chapter aims to show that although many ethical challenges may exist when conducting palliative care research, these challenges should in no way be deemed insurmountable. Research in palliative care is both needed and possible, provided sufficient attention is given to possible ethical sensibilities. Council for International Organizations of Medical Sciences (CIOMS). International ethical guidelines for health-related research involving humans. 4th ed. Geneva; 2016. Available at https://cioms.ch/wp-content/uploads/2017/01/WEB-CIOMS-EthicalGuidelines.pdf. Nueberger J, Guthrie C, Aaronovitch D, Hameed K, Bonser T, Pentregarth H, et al. More care, less pathway: a review of the liverpool care pathway. 2013. https://www.gov.uk/government/uploads/system/uploads/attachment_data/file/212450/Liverpool_Care_Pathway.pdf.